It is now available at the winery ($16.00). 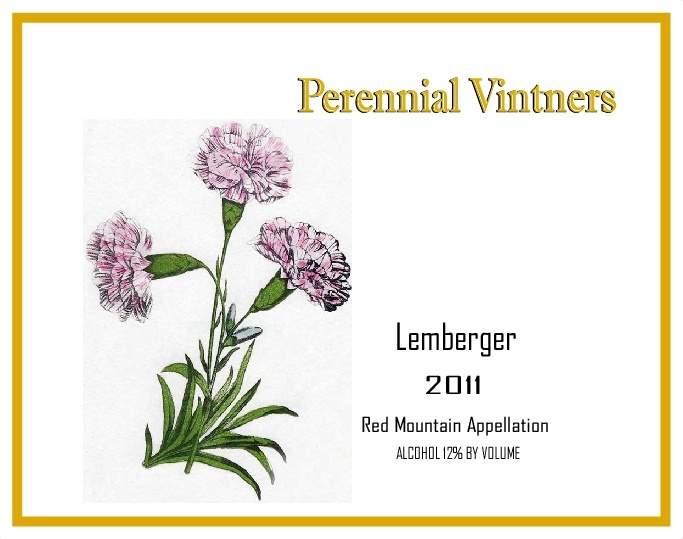 This is our first red wine and is from the Red Mountain Appellation, it's a dry red wine from Lemberger grapes (also known as Blaufränkisch). True to Perennial Vintners way of doing things, this is a little different (Ok, it's a lot different) from your typical red wine! Most red wines are finished in oak barrels with extended aging -- this was finished in the style of a Beaujolais-nouveau, in stainless steel, no oak, and released when very young, fresh and fruity. This is not a complex wine to be pondered, simply enjoy it's bright fresh berry characteristics.